Sweet and easy Ranch w/attached garage on beautiful private property with horse farm view right out your front door! Finished basement opens up extra living space. Large yard features kennell, back deck and plenty of places to garden or play! 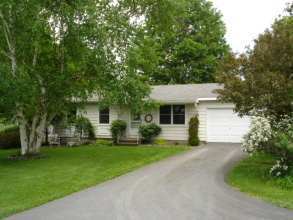 Close to Lake Moraine, Colgate University and Towns of Hamilton or Madison. One year lease available.